"Art-artifice, organic-inorganic, alive-dead, in my works, these are the worlds that merge one with the other in an attempt to subvert perceptive codes"
Born in 1980 in Bologna, she obtained her degree in decoration at her native city’s Accademia di Belle Arti. 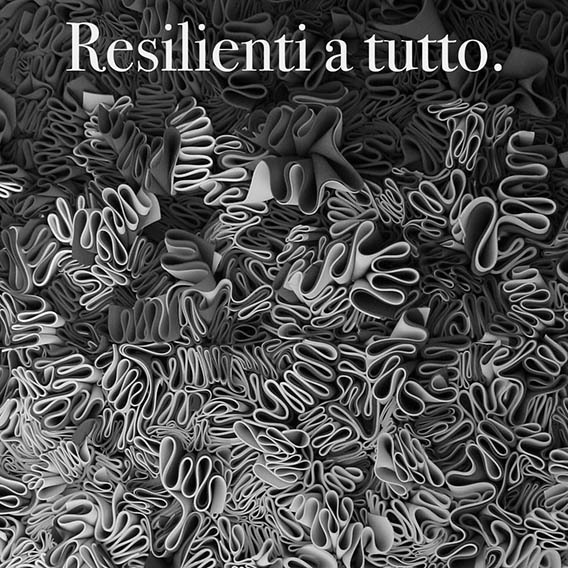 In 2014, together with five sculptors and Ilaria Bignotti, an art critic, she founded Movimento di arte e cultura Resilienza italiana (‘Italian Resilience’ art and culture movement), a diffused project aimed at coming together and communicating on an international level on themes pertaining to contemporary art as an aesthetic and ethical operation, a positive answer to the changing art system. 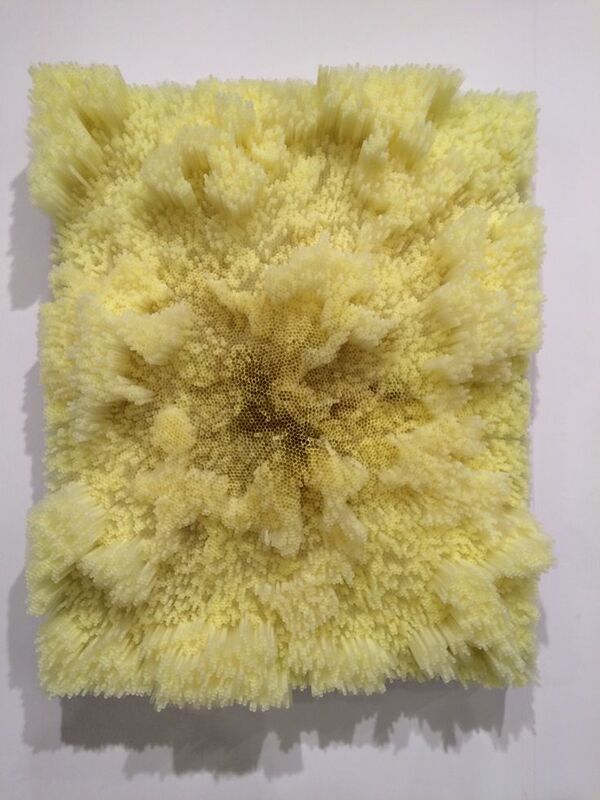 Her research develops starting with the observation of natural shapes, from which the artist grasps the structural weave and translates it into complex and elaborate WORKS often with reusable, plastic and industrial materials. 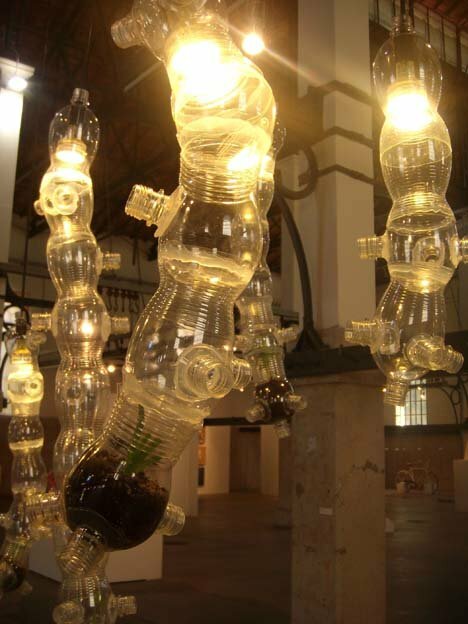 From this comes the attention she received in the realm of art as contemporary recycling (RICICLARTI, Padova, ex-Macello, 2010), and as an active metamorphosis between organic and inorganic, nature and artifice (Metamorfosi, Brescia, Museo Diocesano, Intrecci, Bologna, Palazzo Gnudi, Organic/Inorganic, Bologna, Galleria Neon>Campobase 2010). Setole, assembled in wooden containers and metal frames, placed in such a way as to create a soft and compact surface, monochrome or blending from one shade to another. 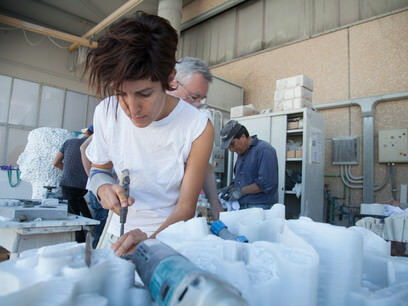 These are her most famous work cycles, to which the artist unites other plastic-environmental and perceptive- sensorial experiences also using sophisticated technologies and collaborating with experts in the different fields, from video to light to sound art. 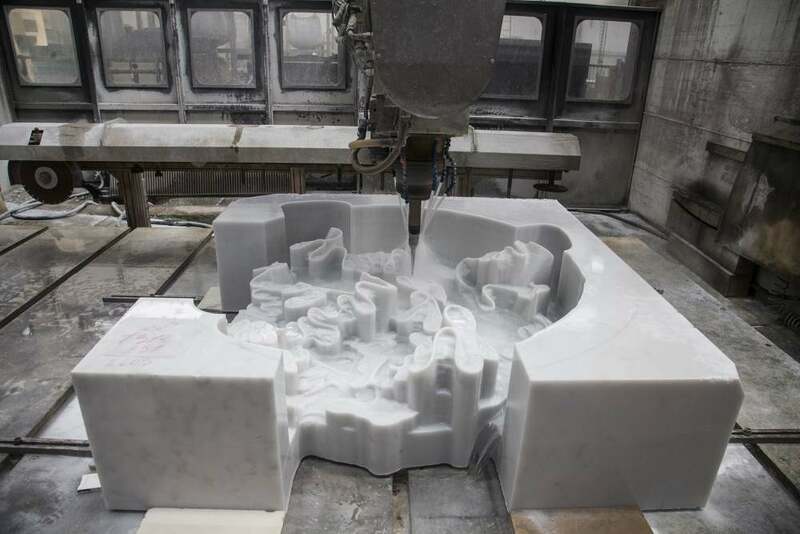 She has widely experimented also using different materials, from the noble marble to bread, and in different fields where the artist dialogued with the client, each time knowing how to unite the specificity of her investigation with the particularity of the request. 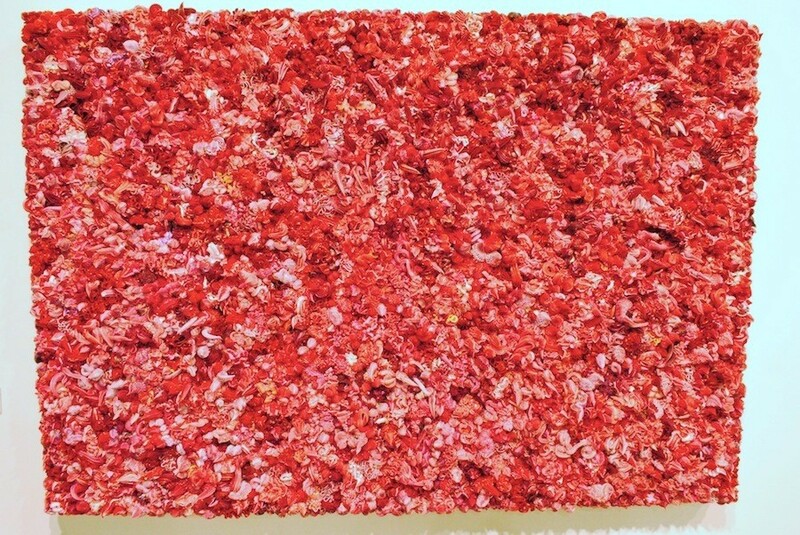 She has participated in several contemporary art shows, among the major ones on the national and international scene: Miart Milan in 2011, Arte Fiera Bologna in 2013 and, once her collaboration with Tornabuoni Art was started up, Art Basel Hong Kong, Art Basel Miami, Fiac Art Fair Paris in 2013 and in 2014, Miart, Milan, Art Basel Hong Kong and Arte Fiera Bologna in 2015. 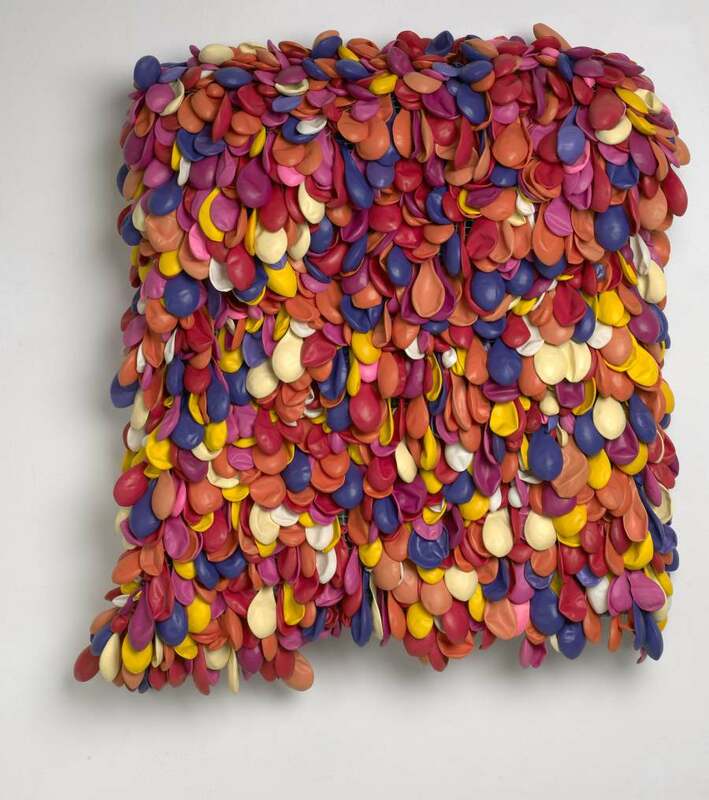 Her works are found in the principal international private collections and in several public institutions. 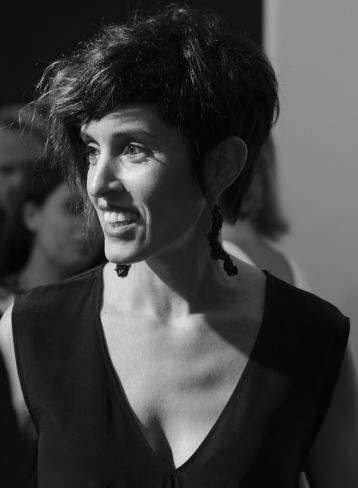 In 2010 her first major solo shows: Metamorfosi, curated by Ilaria Bignotti at Brescia’s Museo Diocesano; Mi sento S-gonfia, site-specific installation, curated by Galleria La Pillola of Bologna, Intrecci at Bologna’s Palazzo Gnudi; the collaboration with Salvatore Ferragamo yields Sofia Straws, borsa d’artista, in 2013, and is followed by her participation in Area SLAM, Project for Art Verona with Colossi Arte Contemporanea. 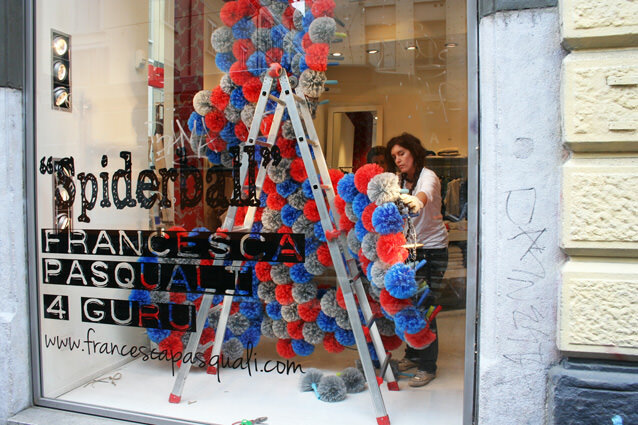 In 2012 she created A me gli occhi, curated once again by Ilaria Bignotti, at Colossi Arte Contemporanea and Spiderballs 4 Guru, a site-specific installation at the Guru Store in Milan. The subsequent year, another installation created expressly for the chain, Marazul 4 Guru, at the Guru Store in Barcelona. 2014 is the year of Sixties Spiderballs, at The House Of Peroni, practically a rendezvous for Italian culture in the London scenario, curated by M&C Saatchi; Alberi Riflessi, site-specific installation for Itlas, and hence focused on the processing of wood, within ‘Abitare il tempo’, the Verona Salon dedicated to design, thanks to her collaboration with Archea Associati; another installation, 39.000 Light Straws, curated by Ilaria Bignotti and Federica Patti, and in collaboration with artists Carlotta Piccinini and Andrea Familari, and with Luigi Mastandrea for sound, in Bologna for Fondazione Lercaro; Critica In Arte at the MAR – Museo d’Arte della Città di Ravenna, curated by Ilaria Bignotti. 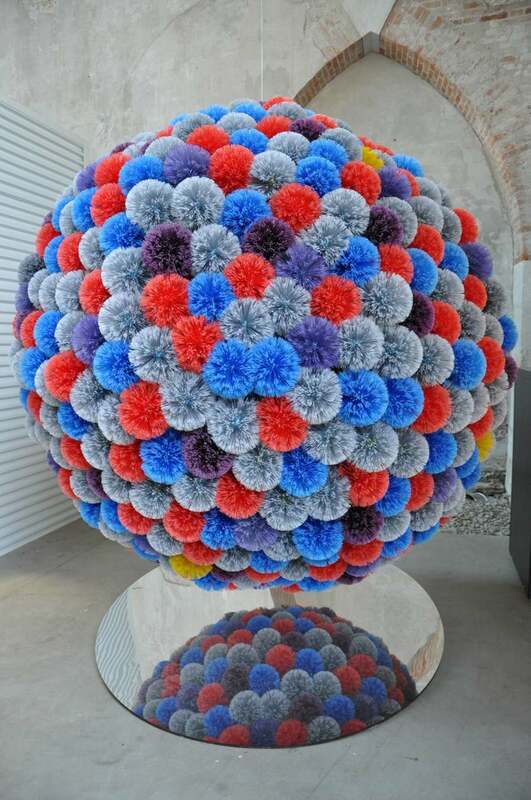 In 2015 she exhibited Plastic Shapes, curated by Ilaria Bignotti and Gino Pisapia, at Tornabuoni Arte Contemporanea in Florence, and Spiderball Cloud at the Biennale Giovani in Monza, invited by Ilaria Bignotti. 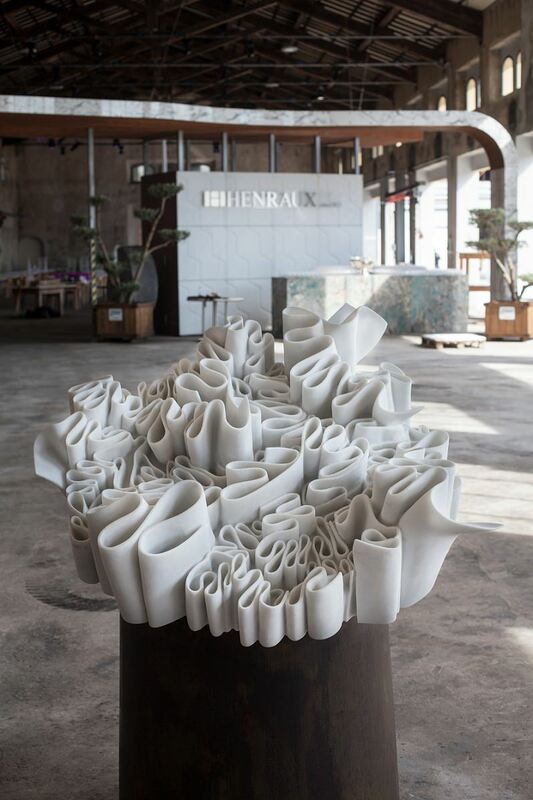 She placed second in the Henraux Foundation Award, in memory of Erminio Cidonio, in 2014, with Frappa, a work that poses the challenge of creating a union between the rigidity of marble and the sinuosity of plastic frappe shapes; she was also a finalist in the Cairo Awards 2015 edition. In 2016 at CU.BO, Unipol, Bologna, in conjunction with Arte Fiera and in the context of the exhibition FLUX-US, curated by Angela Memola and Pascual Jordan, she will be exhibiting the great reactive kinetic and audio-video installation Glasswall, comprised of 150,000 plastic glasses of different sizes and thicknesses, thanks to the farsighted supply by ILPA-ILIP, a local company that promotes eco-sustainability through the creation of recyclable products, and in collaboration with Carlotta Piccinini and Andrea Familari for the video interventions, with Bernardo Lo Sterzo and Luigi Mastandrea for audio. 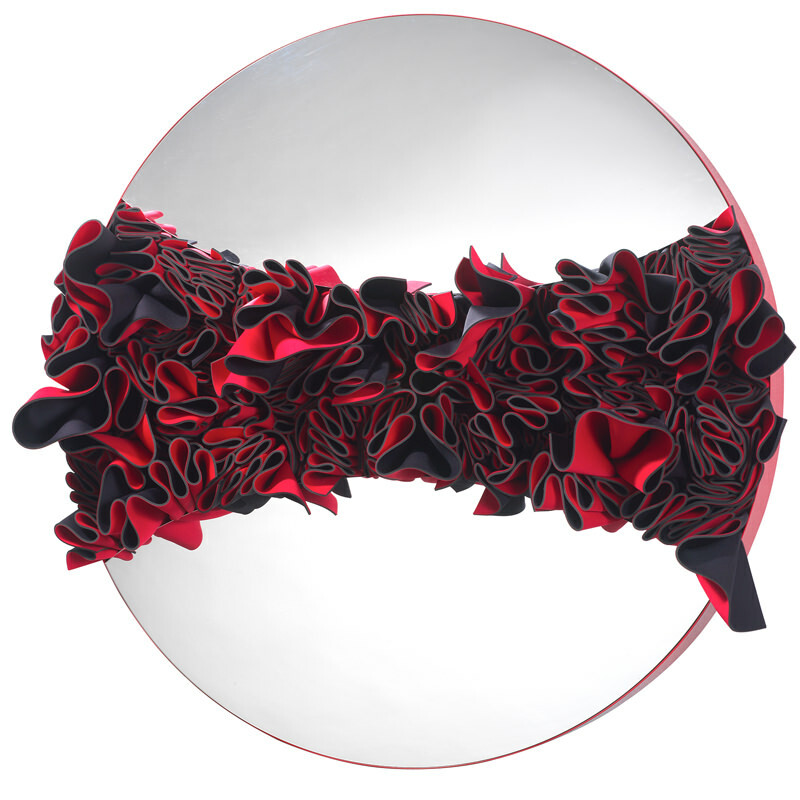 And an exhibition is scheduled at the Salvatore Ferragamo boutique in Milan, in conjunction with February’s Fashion Week, where she will create an environmental, site-specific and kinetic work that will transform the four display windows and some internal spaces with compositions made of long and sinuous coloured bristles. The installation will then be moved to the Rinascente shops in Rome and London, in the famous Sloane Street at no. 207. 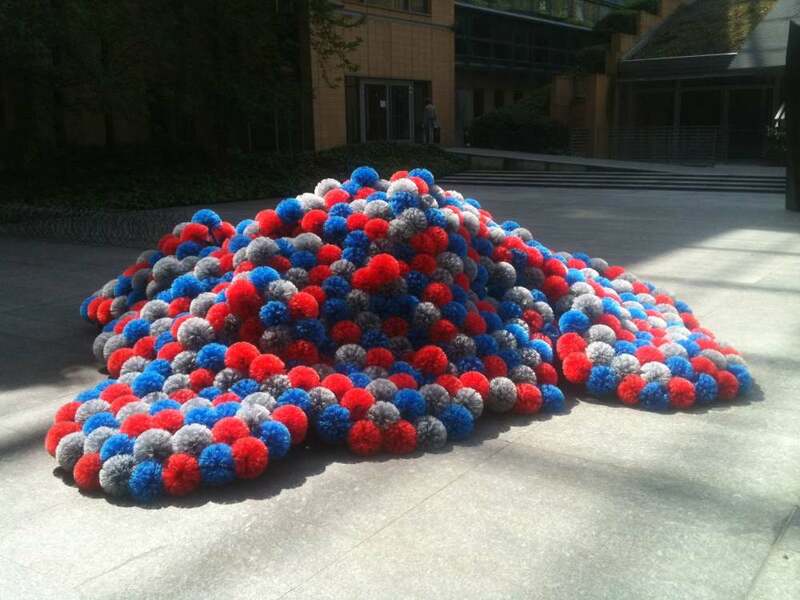 In December 2015, the Francesca Pasquali Archive was born for the scope of archiving, preserving, protecting and promoting her artistic production through projects in course and for the future to be developed with public and private bodies, and to diffuse the language through innovative communication systems. Comprised of experts and professionals coming from different fields, coordinated by Ilaria Bignotti as Scientific Manager, the Archive takes the entire production and organizes it pursuant to scientific, innovative and definitive parameters. 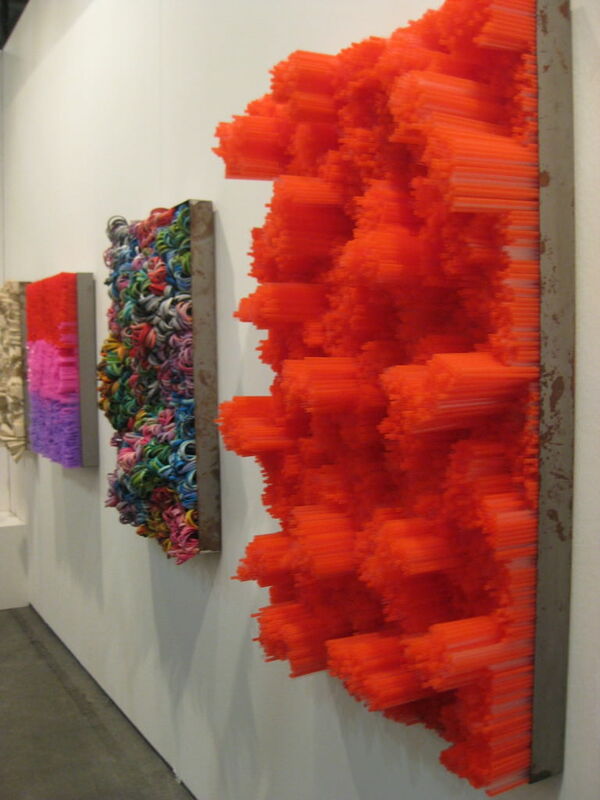 The biography of the artist has been created in collaboration with Francesca Pasquali Archive. 2016. 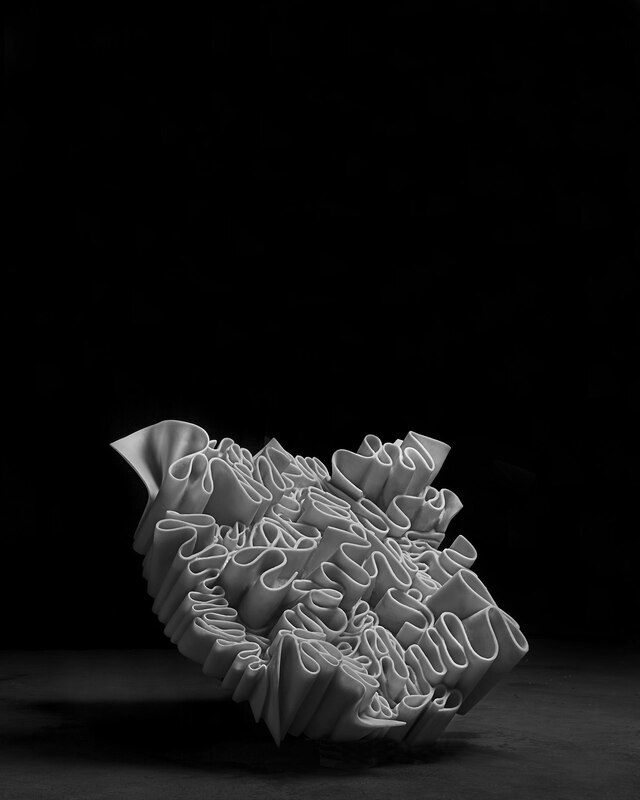 Thanks to ZOO for the Artist's profile and Francesca Pasquali Archive for "FFF" and "Glasswall"